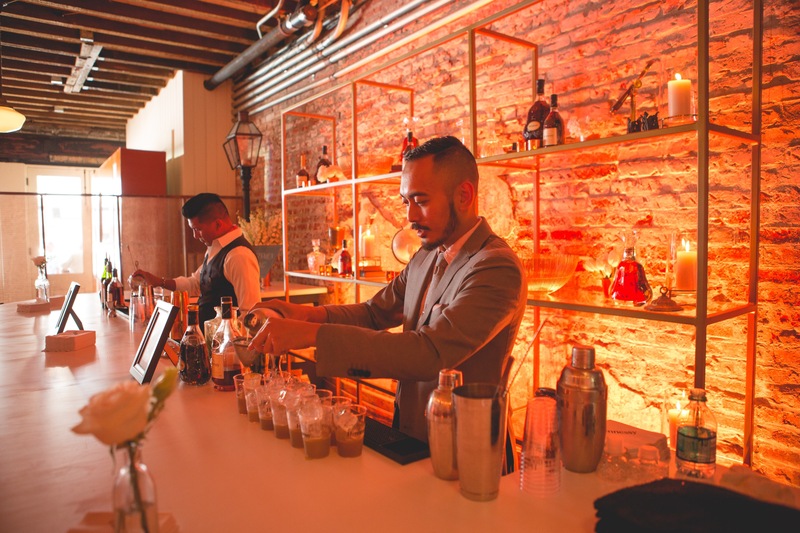 This year at Tales of the Cocktail, Hennessy showed up with a mission to impress and educate. 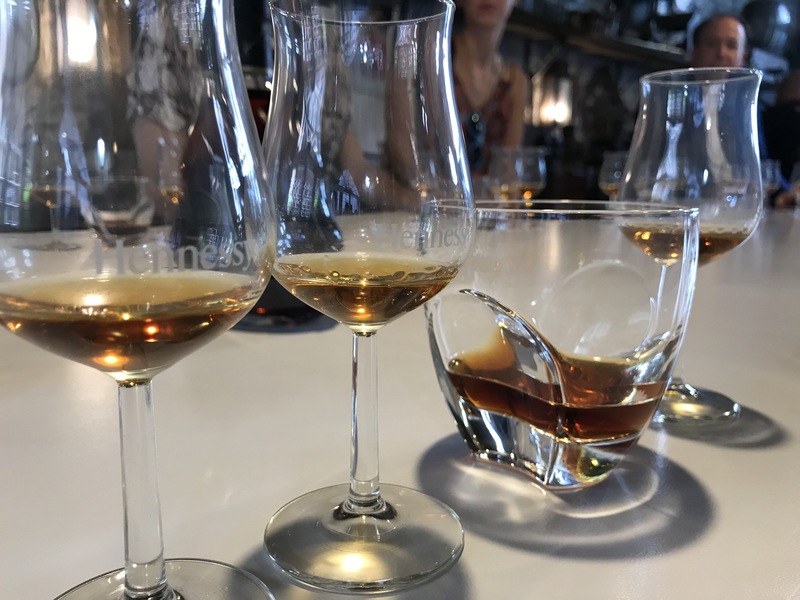 The cognac giant held “The Hennessy Experience,” walking attendees through the cognac making process as well as an unmatched cognac tasting. While waiting for the event to start, attendees enjoyed refreshing Hennessy cocktails. I asked for a Sazerac – remember, the classic cocktail was originally made with cognac, not rye whiskey. This version was less spicy and much fruitier than the standard rye whiskey-based recipe. Hennessy Brand Ambassador Jordan Bushell kicked off the experience with a pour of wine made from ugni blanc, the grape varietal most associated with cognac. The wine was bright and vibrant, and contained a mineral quality. It had some light citrus notes as well. Not bad, but not something I’d reach for. Ugni Blanc might not make a nice wine, but it does wonderfully once distilled. We were then handed an eau de vie distilled from 100% Fin Bois. Fin Bois is one of several sub-regions, or crus, in the Cognac region. The other crus include Grande Champagne, Petit Champagne, Borderies, Bon Bois, and Bois Ordinaire. Champagne in this case doesnt mean the wine making region. Instead, it refers to the chalky soil of the region. The eau de vie was slightly sweet and fruity, with a touch of minerality. Bushell discussed the distillation process at length, as well as how Hennessy works closely with the many winemakers in the area. He then moved into barrel maturation. By law, cognac producers can only use French oak casks. Where bourbon producers here in America may only use a barrel once, cognac producers can reuse barrels as much as they want. 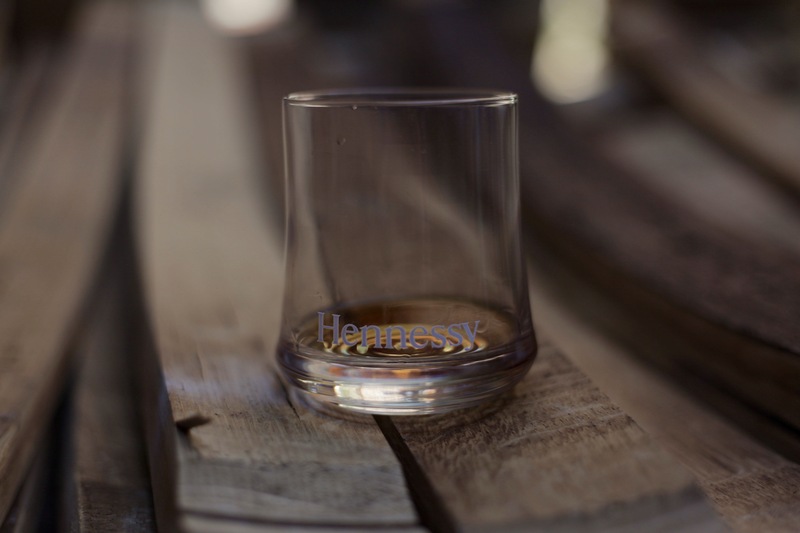 Hennessy’s oldest barrel dates back to 1830. Maturation consists of many grades of casks and two different types of cellars. A Category A cask has a strong toast, imbuing strong oak notes to the spirit. A Category B is one that’s been used for a year, and will continue to age eaux de vie for two to four years. A cask of this age still has a large amount of tannins. Category C casks are used from five to nine years. Bushell said less than 40% tannins are left in a barrel this old. Once a cask reaches 9 to 20 years in age, it is considered Category D. There is barely any tannin left to give to the aging eaux de vie. The oldest barrels, Category E, are 20 – 35 years old. These are used to “finish and polish,” according to Bushell. At this point, these barrels are neutral and have little to nothing to add to the spirit. We were shown how these different casks affect the same eaux de vie by trying two different 4-year-old Fin Bois. One was aged in Category A barrels and another in Category D barrels. The former featured lots of orchard fruits, dried fruit and spice, while the latter was a bit more subdued and really showcased the grape character of the spirit. 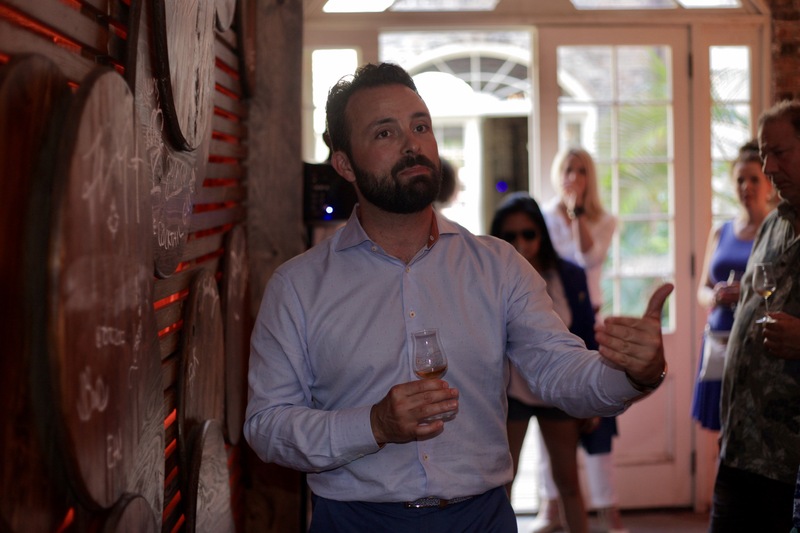 Hennessy National Brand Ambassador Jordan Bushell explains the maturation process. What I found most interesting is Hennessy’s tasting committee. The eight member committee, now led by new Master Blender Renaud Fillioux de Gironde, gathers every morning in a small white room to taste the previous day’s eaux de vie. Nothing new here, right? Wrong. Here’s where it gets interesting. Based on what they taste, the decide what kind of blend (VS, VSOP, XO, etc.) that unaged spirit is destined for as well as what barrel category the eaux de vie is going to spend its future in. Insane. We then met with Oliver Paultes, Hennessy’s Director of Distillation and member of their tasting committee, who gave me some insight on the distillation process as well as a tasting of three different cognacs. Our first pour was a 20-year-old Fin Bois at 49% abv. This was bold in nature, compared to the 4-year-old Fin Bois I had moments before. Olivier Paultes led our group through a tasting of several rare cognacs. 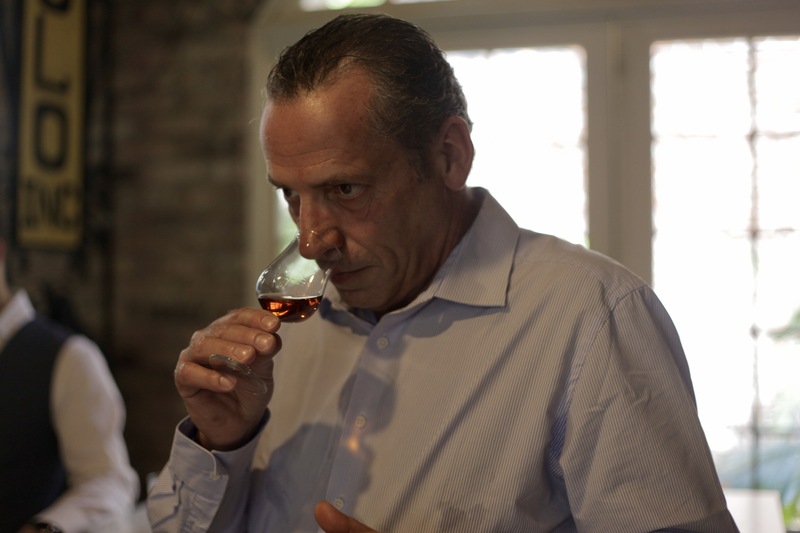 Blending is an integral part of making cognac, but keeping consistency between those blends can be a challenge. Paultes and the rest of the tasting committee have found a way to make the process more manageable. “We select some eaux de vie with special character that is easier to reproduce because you have more consistency,” said Paultes. The next cognac was a 30-year-old Grande Champange at 56% abv, which was lighter in style and very elegant in flavor. 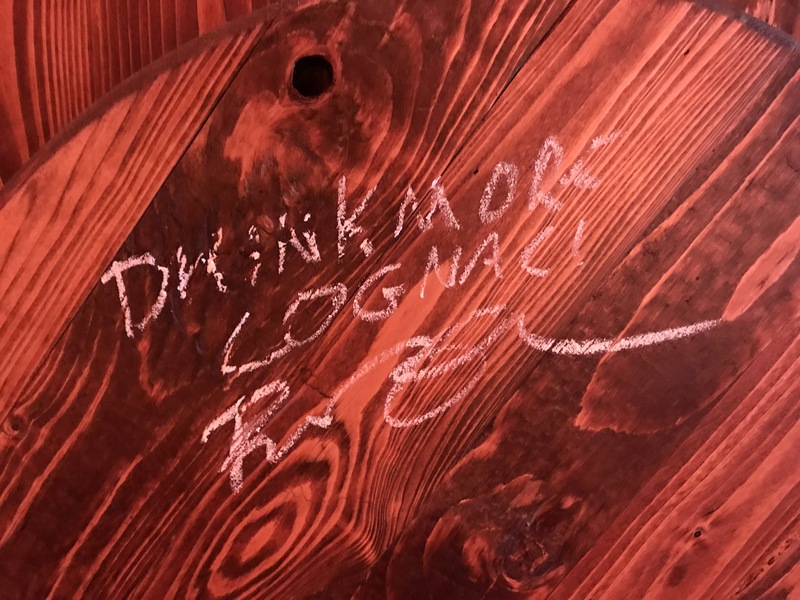 I left some instructions on a barrel head. The final cognac was a doozy – a 52-year-old Grande Champange from 1965 at 49% abv. It was the essence of elegance, with more nuanced floral and fruit flavors than I can describe. That’s one cognac that belongs on anybody’s bucket list. Over the course of 90 minutes, I gained a new appreciation for the cognac-making process. There’s a lot that goes into each pour of cognac. It’s something to think about next time you savor a little eaux de vie. Thanks to the team at Hennessy for having me at this event. 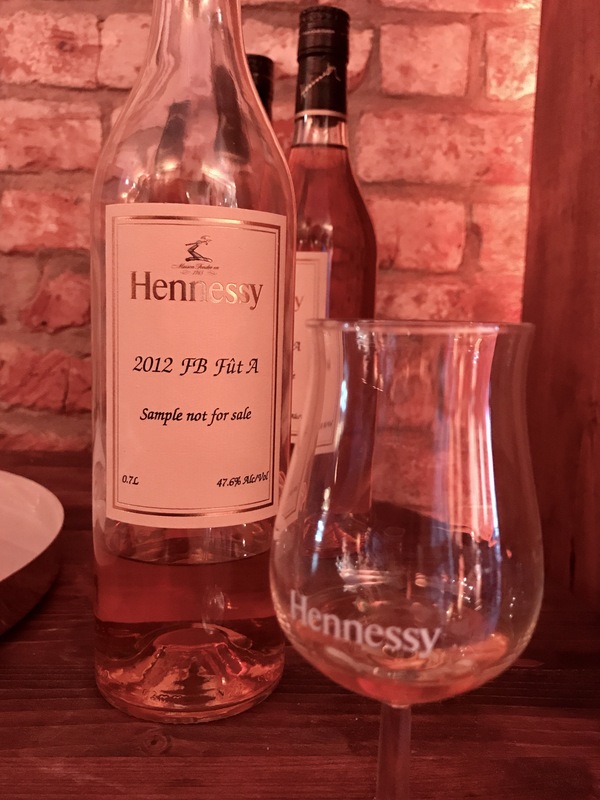 Nice write up; looking forward to visiting Hennesey while in Cognac next month. I need to make it out there. Have a great trip.